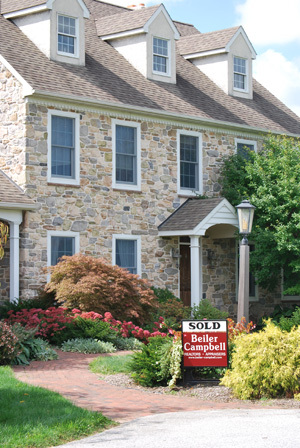 The main objective of Beiler-Campbell Realtors has remained the same for over 40 years of successful business; to serve the real estate needs of our friends and neighbors in Southern Chester, Delaware and Lancaster Counties. Beiler-Campbell is one of the larger companies in Chester County that is locally owned. The management team and ownership of Beiler-Campbell are long-time residents of Chester, Delaware and Lancaster Counties. We care about the communities and what happens to the local property values. Many of the Beiler-Campbell agents are active members of local organizations, and have a keen insight to the local environment. The Beiler-Campbell sales team is made up of full time, dedicated real estate professionals. This allows us to be aware of daily changes in the real estate market. Several members of our team hold positions at the County Association of Realtors. Well known and respected, Beiler-Campbell Realtors & Appraisers has a reputation for solid work ethics and attention to transaction details.